For already 17 years Aries has been manufacturing only the best car accessories for your vehicle’s protection and your convenience. 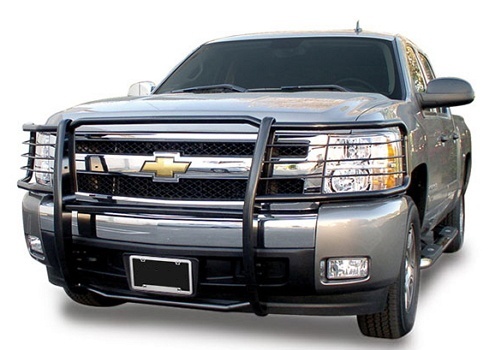 Today Aries carries a variety of Grille Guards, Bull Bars, Rear Bumper Guards, Running Boards, Side Steps and Step Bars. What does it mean to you? When it comes to protection of your truck from different hazards on the road, you can always rely on your Aries Grille Guard or Bull Bar because these parts were designed for performance not just for good looks. Though perfect design, shining mirror polished stainless steel or outstanding black powder coat of Aries parts is one of many benefits that you are getting when you purchase your Aries part. Among the other benefits of these parts is Aries warranty – the Stainless Steel parts are backed up by a Limited Lifetime Warranty; the Black Powder Coat is backed up by Aries 5 years warranty. Sounds reliable, doesn’t it? As we have already mentioned, Aries pays much attention to the front protection of your vehicle so no other company can compete when it comes to the front fascia protection. 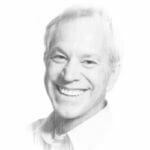 However sometimes it might be difficult to choose the part to purchase. 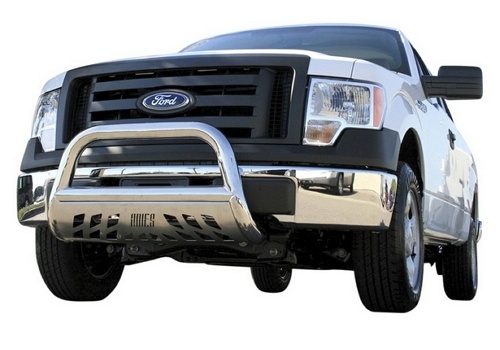 When choosing among Grille Guards and Bull bars, it depends on what you need for your truck. You mainly drive in city and want to protect the front end from a shopping cart that you might have not noticed in front of you? You would like to make sure that any parking lot accident will not damage you car? If you do not want the hazards that you can meet at the city streets to damage your car or you are looking for something subtle to protect your front fascia we would recommend you to choose one of Aries Sports Bull Bars. They are made of stylish and strong stainless steel and are available in Mirror Polished Stainless steel or in Black Powder Coat. Bolt-On installation with no drilling required will preserve the trade-in value of your vehicle. Among the Bull Bars Aries offers please pay extra attention to the Bull Bars with skid plates which will protect the sensitive and expensive parts of your vehicle from stones and stumps that can cause minor damages of the bumper or even worse – they can damage the oil pan. If your truck is 4WD we would recommend to go with the bull bar that does include the skid plate because we do care about your vehicle. Plus if you would like you can add auxiliary lights to the front – the Aries Bull Bars already have pre-drilled holes so the installation will be easy as ABC. If you enjoy off-road and you need the strongest protection for the front end of your truck, please pay attention to Aries Grille Guards. 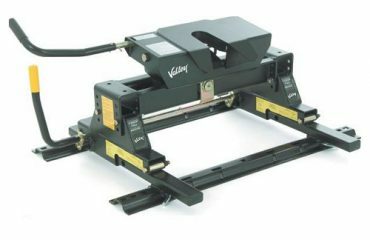 They are custom designed for each and every vehicle therefore they require easy bolt-on application (no drilling required). The design of the Aries Grille Guards is based on the function – the main part of the Grille Guard and the actual brush guards are angled to fit every single line of your vehicle and will protect not only the front fascia and grille area but also the headlights. They look as a factory part, and, unlike other universal one-size-fits-all parts, the Aries Grille Guards protect your vehicle where it really needs to be protected. For some cars Aries carries Rear Bumper Guards. 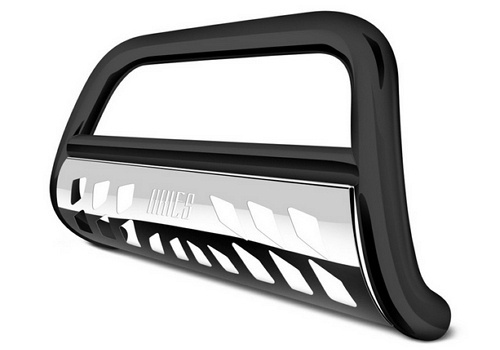 First of all, they will add tough look to your vehicle, and, of course, will additionally protect the rear bumper. As you know, as a rule the rear bumpers are made of plastic and are designed for maximum protection in a real car accident. They look good however little scratches are really visible on them. 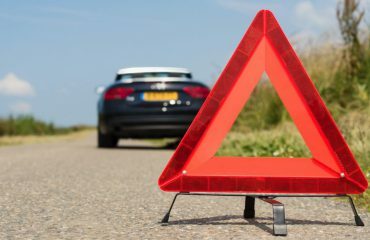 So in order to avoid this, you can select the rear bumper guard for your car and you can be sure that your vehicle is protected by a high quality Aries part which is durable, reliable and elegant. 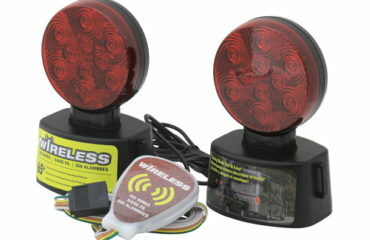 And now let’s see how Aries can make you car safer and more convenient for YOU. If you owe a truck, CUV or SUV you might have noticed that when it’s snowing or raining it might be difficult to get into the car. Or when your girlfriend is wearing high heels it might be a trouble for her to get into the car or get out of it. Or if the whole family including grandparents is going somewhere it might take a lot of time and effort for everyone to get into the car. Does any situation sound familiar to you? If so, if this case Aries will be glad to help you to choose the part that will make your life and experience of getting into your car much better. 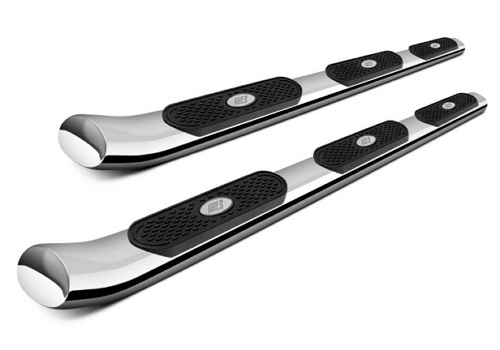 Aries offers a variety of side bars for your vehicle. They are made of high quality Stainless Steel and are available in two finishes – Mirror polished Stainless Steel and Black Powder Coated parts. The Stainless steel parts have limited lifetime warranty, the Black powder coated pats are backed up by a 3-year warranty which means that we are sure that the quality of the parts is perfect but things happen. Aries Side Bars are designed for each vehicle therefore require easy no-drill bolt on installation on durable mounting brackets. 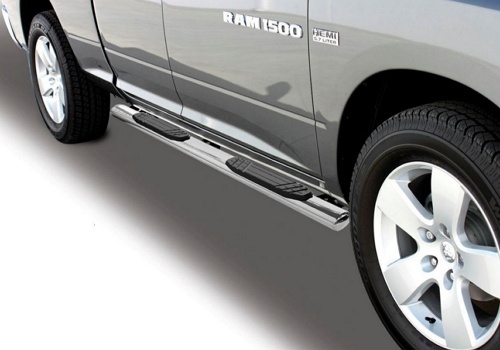 For your safety and convenience these side bars provide a mounting place for raised non-slip step pads. Moreover the Aries side bars are installed at exactly the right height for easy and convenient entry and exit. And of course perfect design will make your vehicle look sharp, elegant and custom because Aries side bars, unlike cheap universal aftermarket parts, fits perfectly the vehicle it was designed for. 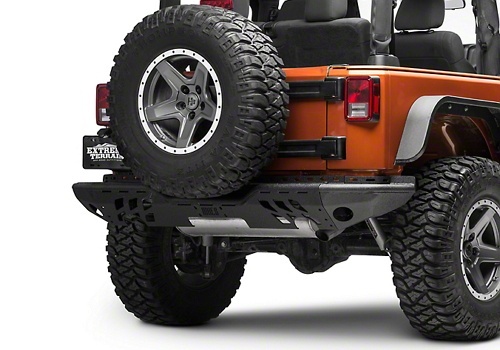 Also Aries carries a variety of vehicle specific parts, for example if you own Jeep you can choose accessories and replacement parts for it from a bunch of options Aries offers – replacement bumpers with Stainless Steel tubing, Tubular bumpers, mud flaps and much more to customize your vehicle and complete its image. If you would like to add some custom accessories to your FJ Cruiser or Hummer – feel free to choose from Aries Vehicle specific collection – there you will find taillight guards, roof racks, fuel lids, tow hooks – and that is only couple of names from a variety that is listed. Aries knows that when it comes to the vehicle protection and customers’ convenience it’s never too much. Having great experience in manufacturing the accessories for protection, customization and improvement of the cars’ look with the top-notch parts we know that Aries is the company that takes the performance seriously, never compromising on the quality and therefore the product Aries provide will satisfy even the most discerning customer.